Trans Aware provides advocacy and support to those who identify on the Transgender Spectrum. We also provide information and advice for the general public to better understand how to support Transgender & Non-Binary identities. Trans Aware also provides Training to public bodies & Community groups as well as policy consultation to comply with up to date legislation. 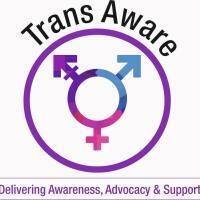 Trans Aware serves the Tees Valley & Cleveland area. We are a registered charity. Our groups and any support or advocacy is a free service. Our prices for training sessions are negotiable depending on which type session you are asking for.